We have a well-equipped and well-maintained computer section with 30+ computers. 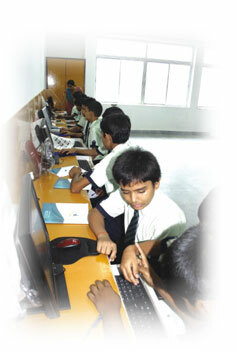 Every effort is being made to utilize the available facilities and develop computer awareness in each and every student. Computer learning has been recognized as an essential and useful tool of modern learning. Computer Science is compulsory from Class III to Class X in CBSE Pattern. The computer lab is well monitored by qualified instructors and every aspect of computer education is provided. Each student is paid individual attention. In this age of Information Technology, an early exposure to basics of computer readies every child for the future and also helps the child to overcome any inhibitions they could have towards computer usage. Our school has one computer lab with latest models of computers and software. The school has a computer lab which is fully equipped with adequate number of terminals with latest configuration and more than 30 computers with internet connectivity for the use of the students, teachers and staff working in our School.